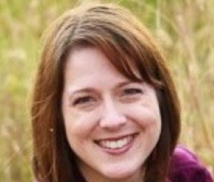 Julie is a Licensed Clinical Professional Counselor, Nationally Certified Counselor and a Registered Art Therapist. Since 2009, Julie has provided counseling and art therapy for hospice patients and the bereaved whose grief is due to the loss of a loved one or loss through a long term illness, sudden death, miscarriage or still birth. She has experience working with children, teens and adults with a variety of life and loss issues. She has a dual Masterâ€™s degree in Counseling Psychology and Art Therapy from Adler University. She holds professional membership with the Illinois Counseling Association (ICA), American Art Therapy Association (AATA), Illinois Art Therapy Association (IATA), RESOLVE, American Society for Reproductive Medicine (ASRM) and National Hospice and Palliative Care Organization (NHPCO).